Clinical Diagnostics: An Internet Business? You are here: Home / Blog / Molecular Diagnostics / Clinical Diagnostics: An Internet Business? Personalized medicine promises to deliver treatments tailored to an individual and their specific disease characteristics. The approach represents a big leap in the practice of medicine and can result in more effective and lower cost prevention and treatment. A prerequisite to achieving the aspirations of personalized medicine is a new class of diagnostic tests that are precise and predictive enough to differentiate between individuals and pinpoint the underlying cause of a disease at a molecular level. Sensitivity — the new class of diagnostics must accurately and reproducably detect very subtle signals. Specificity — each set of measurements must carry enough information to identify individual variation and distinguish between different disease mechanisms. Multiple measurements — contrasted the familiar single-measurement diagnostic tests for glucose, cholesterol, PSA, vitamin deficiency, etc., new diagnostics often involve analyzing a panel of biomarkers to assess whether results match a pattern determined through empirical studies. Population dynamics — the diagnostic test results must be interpreted in the context of populations of well-characterized patients; the reference populations are likely to evolve as more studies are performed and an increased understanding of the target disease is achieved. Think about the implications of sequencing an individual’s genome with high precision at modest cost. To use a genome sequence for diagnostic purposes we need to compare it with well-characterized sets of genomes. As this sort of test becomes common, we quickly see the challenge: huge quantities of information must be managed and interpreted. The interpretation will evolve as more genome variations become associated with disease and a deeper understanding of the genome’s influence on disease progression is understood. Diagnostics based on gene expression, imaging and proteomics technologies are facing similar data management issues. 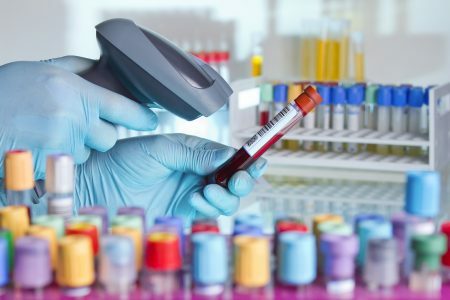 Diagnostics companies are increasingly aware that their offering must include, at its core, sophisticated systems for data acquisition, laboratory workflow management, test result interpretation and related capabilities. Moreover, physicians and patients have much higher expectations for convenient on-line access to information. As such, acquiring, analyzing, interpreting, and delivering diagnostics results demand the power and flexibility of cloud computing technologies. Review our customer spotlights to learn how we provided solutions for diagnostic companies. Don’t Drive Your Process with Email Where is your Lab’s Informatics Supply Chain ?